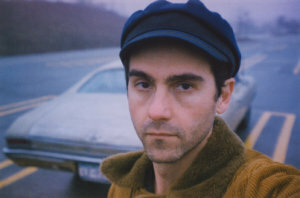 Filmmaker/photographer Cohen’s feature-length films include Museum Hours, Counting, Chain, Benjamin Smoke, Instrument, and World Without End (No Reported Incidents). Shorts include Lost Book Found, Little Flags, and Anne Truitt – Working. His films are in the collections of NYC’s Museum of Modern Art, The Whitney Museum of American Art, The Jewish Museum, D.C.’s National Gallery of Art, and Melbourne’s Screen Gallery. They have been broadcast by PBS, Arte, and the Sundance Channel. He’s had retrospectives at Harvard Film Archive, London’s Whitechapel Gallery, Indielisboa, BAFICI, Oberhausen, Gijon, and Punto de Vista Film Festivals. His multi-media show with live music, We Have an Anchor, was a main stage production in the Brooklyn Academy of Music’s Next Wave series, and at London’s Barbican. His current show of film with live soundtracks, Gravity Hill Sound+Image, has been presented in Istanbul, Porto, New York City, Nantes, and Knoxville, TN. Photography/installation exhibitions include Robert Miller Gallery, SF Camerawork, University of Michigan Museum of Art, and the Sharjah Biennial. He is a Guggenheim, Alpert, and Rockefeller Fellow, and has received grants from the National Endowment for the Arts, Creative Capital Foundation, SJ Weiler Fund, the Jerome Foundation, Greenwall Foundation, New York State Council on the Arts, and New York Foundation for the Arts. Awards include the Independent Spirit Award and San Francisco Film Society’s Persistence of Vision Award. Cohen has had multiple residencies at the Macdowell Colony and Yaddo. Cohen has worked extensively with musicians including Patti Smith, Fugazi, Terry Riley, R.E.M., Godspeed You! Black Emperor, Xylouris White, DJ Rupture, the Ex, Elliott Smith, Vic Chesnutt, Mary Margaret O’Hara, Matana Roberts, Jessica Moss, Jonathan Richman, T.Griffin/Catherine McRae, White Magic, and the Orpheus Orchestra with Gil Shaham, and has collaborated with writers Luc Sante and Sam Stephenson, and graphic artist Ben Katchor. He has taught at SUNY Purchase, International Center of Photography, and Rutgers University and currently teaches at The New School. Working with Picture New York and the the New York Civil Liberties Union, Cohen was extensively involved in overturning proposed restrictions on street photography and filming in New York City.